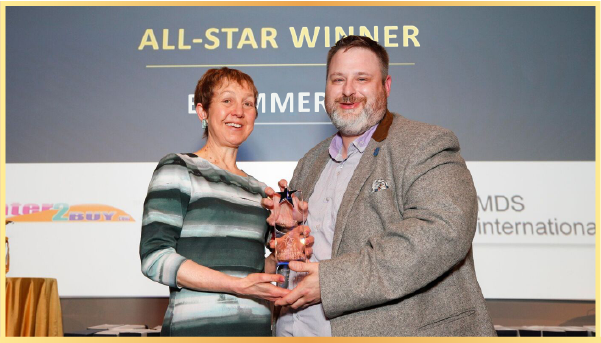 "The applicants demonstrated an ability to innovate quickly and had high impressive growth outputs and plans which no doubt reflects the resilience and optimism that are hallmarks of Irish entrepreneurs. 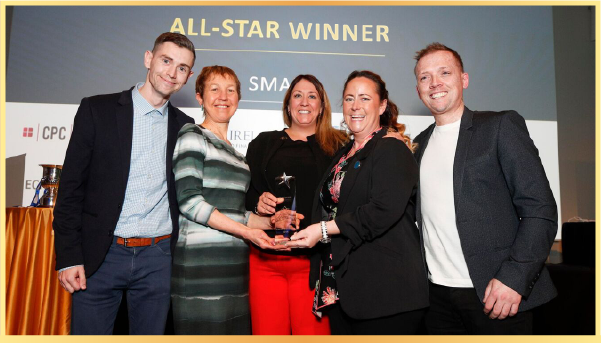 These applicants bring a real inspiration for what is possible in business in Ireland and provide important role models for the many aspiring entrepreneurs and existing small firms." 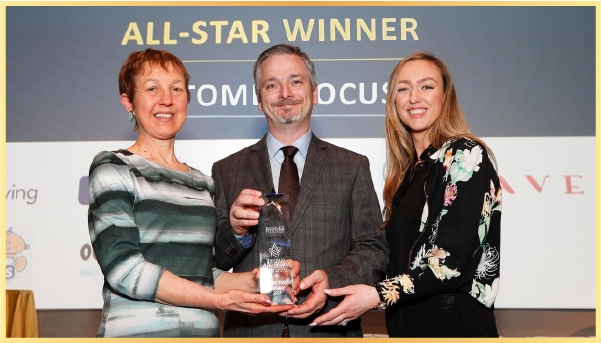 Pictured at the Fourth Annual All-Ireland Business Summit powered by Audi at Croke Park were, Dr.Briga Hynes of the Kemmy Business School at the University of Limerick, presented Colette Glesson and Brendan Ferguson of Comfort Keepers Winners of the All-Star Community Focused 2018 Category. Comfort Keepers provides award-winning in-home care for seniors and other adults in need of assistance with daily activities. Our highly trained and dedicated caregivers can help your loved one stay in their home for as long as safely possible—a dream come true for many elders. Our goal is to enrich the lives of our treasured clients while maintaining their safety, well-being, and comfort as they continue to live independently despite disease and other age-related conditions. 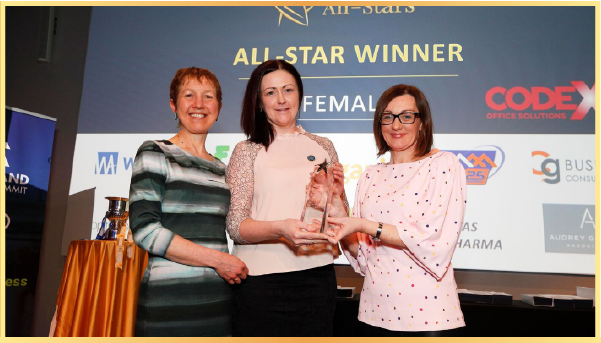 Pictured at the Fourth Annual All-Ireland Business Summit powered by Audi at Croke Park were, Chairperson Dr. Briga Hynes, of the Kemmy Business School at the University of Limerick, Audrey Gaffney of Audrey Gaffney & Associates, Winners of the All-Star Female Led Business 2018 category and sponsor Siobhan O’Connor of Codex at the Business All-Stars Competition. Audrey Gaffney Associates is a vibrant and creative interior architectural design company, offering strong design solutions to create bespoke and remarkable spaces. 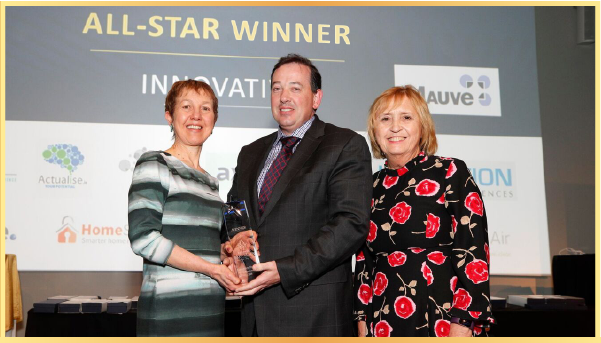 Pictured at the Fourth Annual All-Ireland Business Summit powered by Audi at Croke Park were, Chairperson Dr. Briga Hynes, of the Kemmy Business School at the University of Limerick presenting Dominick Ward of Crystal Air, Winners of the All-Star Innovative Business 2018 category and sponsor Ann Ellis of Mauve Group at the Business All-Stars Competition. 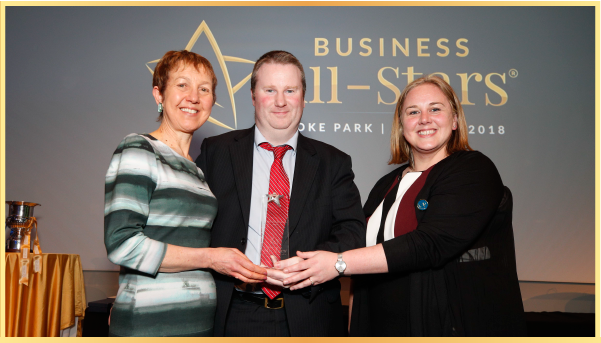 Pictured at the Fourth Annual All-Ireland Business Summit powered by Audi at Croke Park were, Chairperson Dr. Briga Hynes, of the Kemmy Business School at the University of Limerick, Daithi O’Connor of Revive Active, Winners of the All-Star Made In Ireland 2018 category and sponsor Siobhan Kelly of NGA Human Resources at the Business All-Stars Competition. All the evidence tells us that in today's environment each of us should be supplementing our diets with health food supplements. But are supplements being made to deliver real beneﬁts? 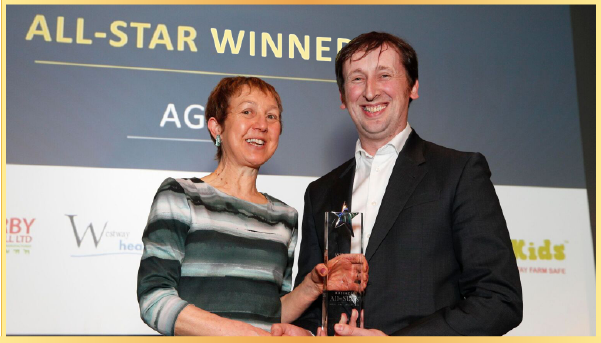 Founded by Dáithi O'Connor in 2011, Revive Active passionately believes in doing things right. 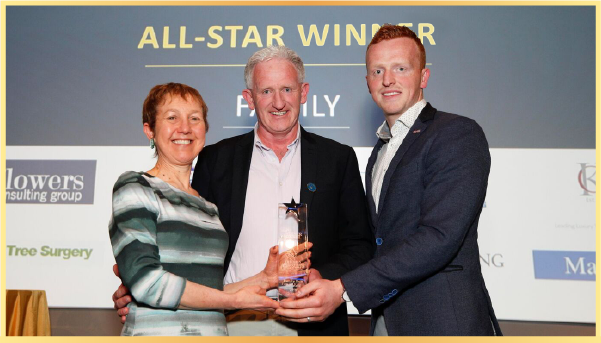 From humble beginnings, Daithi backed his vision with everything he had and built a successful business with strong foundations. 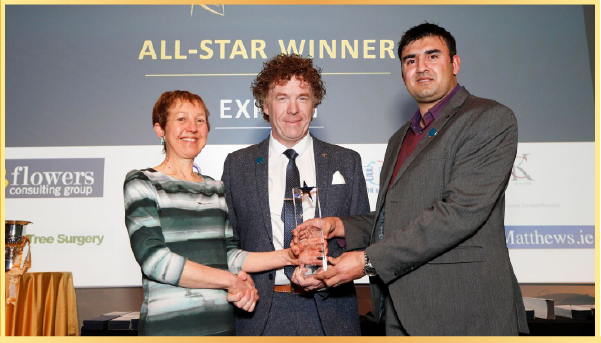 Pictured at the Fourth Annual All-Ireland Business Summit powered by Audi at Croke Park were, Chairperson Dr. Briga Hynes, of the Kemmy Business School at the University of Limerick, presenting Harry Hughes of Portwest, Winners of the All-Star Large Business 2018 category and sponsor Michael Dawson of One4All at the Business All-Stars Competition. 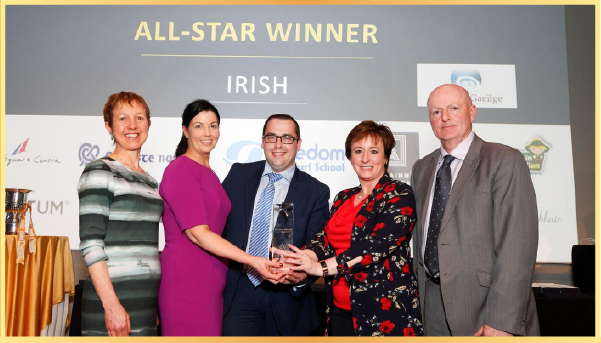 Pictured at the Fourth Annual All-Ireland Business Summit powered by Audi at Croke Park were, Chairperson - Dr. Briga Hynes, of the Kemmy Business School at the University of Limerick, Avril Smith, Niall Donoghue and Sandra Stapleton of Eyre Square Shopping Centre, Winners of the All-Star Irish Language in Business 2018 category and sponsor Colm Ó’Baoill of Foras Na Gaeilge at the Business All-Stars Competition. Eyre Square Centre is Galway City liveliest and most attractive meeting place, incorporating over 70 shops including a mix of local Irish retailers as well as the best known brands from the high street including Penneys, New Look, JD Sports, Mothercare, Specsavers, Vera Moda, Jack and Jones, Dunnes Stores, Burger King and many more. 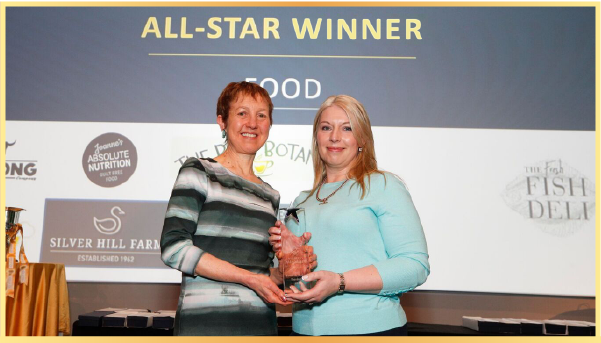 Pictured at the Fourth Annual All-Ireland Business Summit powered by Audi at Croke Park, Chairperson Dr. Briga Hynes, of the Kemmy Business School at the University of Limerick presenting, Hannah Wrixon of Get the Shifts, Winners of the All-Star New Business 2018 category at the Business All-Stars Competition. With over 20 years in the hospitality sector we know a thing or two about this industry, especially what it is like to have a staff shortage, so that’s why we started Get The Shifts! This is the best and only way to source hospitality temporary workers in Ireland and by using an on demand web and mobile platform we help YOU to source staff FAST. We are a Manufacturing company that is dedicated in designing and manufacturing state of the art Trommels and Apron Feeders. We're based in Republic of Ireland and are committed to innovation and are always developing new products and solutions. We pride ourselves in modifying our machines to meet the requirements of our customers. We are always learning about their needs and offer solutions for the best results possible for their specific applications. We have over 40 dedicated members of staff that cover the different functions of the company, who are professional and committed and excel in their roles. We have two factories within Ireland that house all the equipment to manufacture the machines. Kerry Coaches Ltd is regarded as Ireland's leading luxury coach company. We provide tailored executive travel for all group sizes specialising in golf, sightseeing and corporate hospitality. 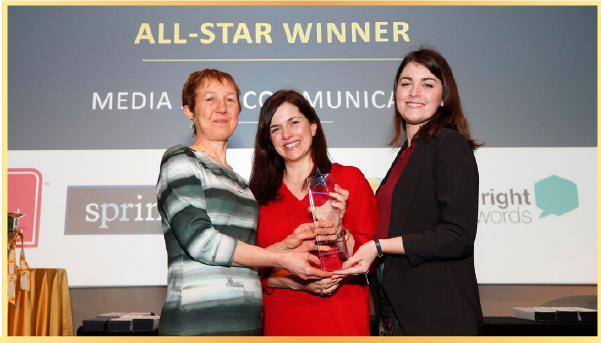 Springboard PR & Marketing is a leading award-winning communications agency. We specialise in bespoke public relations and content creation. We will work with you to tell your story. We will create tailor-made communications strategies that succeed for you and your business. 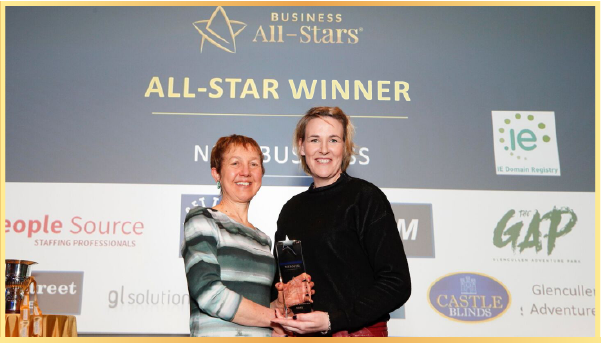 Pictured at the Fourth Annual All-Ireland Business Summit powered by Audi at Croke Park, Chairperson Dr. Briga Hynes of the Kemmy School of Business at the University of Limerick presenting Margie Burns of Aviation Selection Consultancy Winner of the All-Star Micro Business Category 2018. 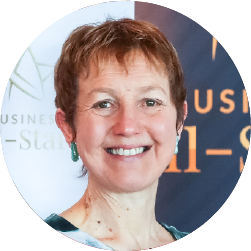 My name is Margie Burns and I am delighted to introduce you to our range of assessment, selection and development services tailored for the aviation industry. I have spent 27 years in the aviation industry, and I am as passionate today as I was starting out with Aer Lingus, working on cadet pilot recruitment 27 years ago. 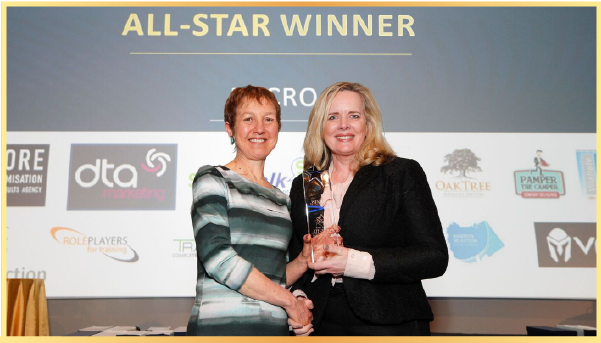 I had the pleasure of working at Director level, with the world leader in pilot recruitment, Parc Aviation for 13 years in Ireland, Singapore and Vietnam. I managed a Type Rating Training Organisation (TRTO) and a Pilot Training College (ATO). We have a great team at Aviation Selection Consultants and at our sister company Aviation Coaching Alliance with experience & qualifications in human resources, psychology, coaching, psychometrics, leadership development & training, project management of large scale recruitment projects & aviation English, to name a few. We are traditional in our approach and our methods are tried and tested over the past 50 years. We create the highest quality and most comfortable dentures through our Dublin and Nationwide Denture clinics. Our Nursing Home and Home Care Clinics provide for patients in a comfortable and caring environment. Our Corporate Dental service allows employees to access routine dental treatments and orthodontics in their place of work. 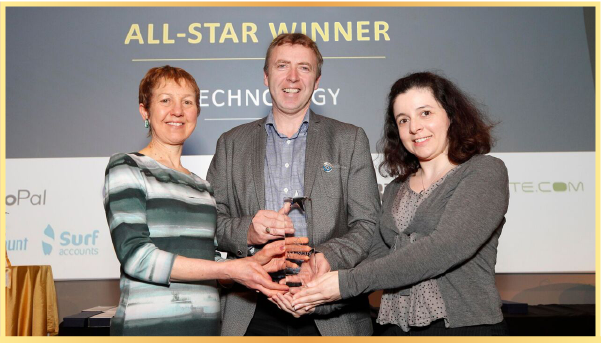 Pictured at the Fourth Annual All-Ireland Business Summit powered by Audi at Croke Park, Chairperson Dr. Briga Hynes of the Kemmy School of Business at the University of Limerick presenting Gerard O Keeffe & Joana Pereira of Geopal Winners of the All-Stars Technology Business Category 2018. GeoPal is a mobile workforce management application that integrates seamlessly with your existing office systems, such as your ERP, CRM, GIS, BIM or Asset Management system. The GeoPal mobile add-on provides connectivity between your field workers and your back office systems, replacing all your paper forms with GeoPal mobile forms for time sheet capture, job completion reports, incident reports, asset surveys, sub-contractor reports and much more. GeoPal gives you real-time visibility of your field operations through executive dashboards and KPI reports delivering increased operational efficiency and health & safety compliance. 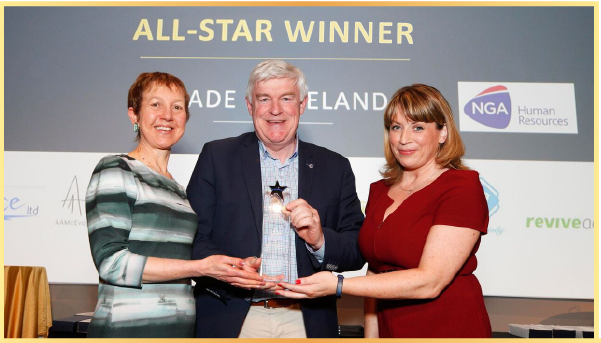 Pictured at the Fourth Annual All-Ireland Business Summit powered by Audi at Croke Park, Chairperson Dr. Briga Hynes of the Kemmy School of Business at the University of Limerick presenting to Garry McCabe & Alison Moore of Kuehne + Nagel Winners of the All-Stars Customer Focused Category 2018. 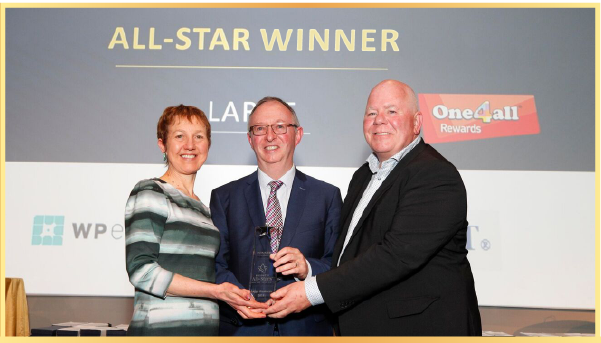 Pictured at the Fourth Annual All-Ireland Business Summit powered by Audi were Chairperson, Dr. Briga Hynes of the Kemmy Business School at the University of Limerick, Marc O Dwyer, Big Red Cloud winner of CEO/MD category of the Business All-Star Competition. Big Red Cloud software saves you time and money, empowering business owners to take control of their finances. Big Red Cloud started out as Big Red Book, an on premise accounting software. For over 25 years our accounting software has been making it easier for small businesses, their accountants and bookkeepers to manage their accounts.